Soon after her arrival in London with her husband and four children, in flight from South Africa’s repressive political regime, Marion was awarded a British Council Post-graduate Study Award (Modern Literature and Drama) and was appointed to the Literature Diploma at Birkbeck, London University’s Extra-Mural department, where she taught for many years, and also lectured on Metropolitan University’s Script Writing course. She also worked as writing tutor for City Lit and Morley College. 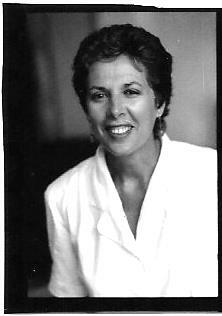 ​She gained her PhD at Roehampton University, London, on her published creative writings (1988-2010). She turned her MA degree into her first play, Mr Bennet and Miss Smith, about Arnold Bennett and the South African writer Pauline Smith, which was performed at the Old Red Lion and won an Arts Council Award. Her adaptation of Olive Schreiner's The Story of an African Farm was performed at the Young Vic, London (Oberon Books). 'A clever and cohesive dramatisation ... Brilliant!’ Myer Taub Market Theatre, Johannesburg), broadcast on BBC Radio 4 as a mini-serial. Her play The Crystal Den, about Karl Marx's daughter Eleanor, and the Marx family's secrets, was performed at the New End Theatre, London (Oberon Books). She went on to write several more plays (see Plays/Awards) which were published and performed, and published many short stories (Five Leaves Publications). She has edited several play collections, translated plays, and written and published a graphic novel Home Number One, on children in the Holocaust. All her plays are in the British Library Theatre Archives Project, Department of English, Sheffield University. With the help of the Arts Council, she founded Loki Books to publish literary writers in translation. 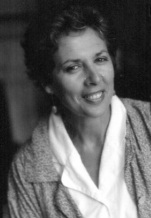 She was later awarded a British Council Travel Award to attend a conference on Women and Peace in the Mediterranean, organized with Miriam Kainy, and she edited a collection of peace plays by women from around the Mediterranean Plays by Mediterranean Women (Aurora Metro), then founded her own small press, Loki Books with the help of the Arts Council (see Editor). Her latest book is based on the work she has done with literature and young asylum seekers. (See under Academic). Reading and Expressive Writing with Traumatised Children, Young Refugees and Asylum Seekers, Marion Baraitser. Published by Jessica Kingsley, London (2014). This book has a sense of straddling continents of theory and practice. Simultaneously intimate and vast, it moves beyond the topic of using reading and expressive writing with traumatised children, young refugees and asylum seekers into research and developments in writing for therapeutic purposes. Marion Baraitser has been working at the Baobab Centre as a writer-in –residence. She details her work, experiences and a critical perspective on many aspects of using words with young people who have had unique early lives, involving some or all of the following: warfare, receiving and/or perpetrating violence, abandonment, racism, identity crisis, dislocation, poverty and surviving without parents or carers. Baraitser visits relevant areas of consideration when working with this client group, including the nature of trauma and its effects on brain development; culture, age, gender and reading level of participants; sensitive choice of materials; many examples of world literature and exercises, which will be useful to other practitioners and topics such as collective cultural identity, groupwork, incorporating drama, ‘performed language’ and music. The chapter index will be helpful for people who want to dip in and out, but there is a chance of missing some of the more diverse theory that is married with particular topics. The book works organically and instinctively, alongside a sense of Baraitser’s vocation, leading the reader from one area of thought to the next. There is much that is transferable within this book for all ‘words for wellbeing’ practitioners, especially when subjects are explored in depth. For example, an examination of fairy tales as a tool, many of which include using children to fulfill the needs of adult characters or society (p.159) and other areas such as Milner’s ‘framed gap’ for creative play (p.168); Winnicott’s ‘comprehensive knowing’ as creative process (p.147); the writing facilitator in support of working out how to tell a difficult story (p. 168.) There is some discussion of ethics (pp. 123-126) and training (pp. 119-122) to prepare for therapeutic writing work. The particular stories and voices of the children are valuable in this volume and ring with experience which is beyond anything that many of us have had to endure, yet speaks directly to one’s imagination and any vulnerable overlaps within our own histories. It is worth taking time with this complex and deep examination, not least as a reflexive tool to measure ourselves as facilitators against Baraitser’s experienced account of a writer practicing with a traumatised and vulnerable client group. Claire Williamson lives in Bristol and writes poetry and prose. She facilitates writing in a wide range of health and social care settings, specialising in themes of recovery and transformation. Claire is Programme Leader for Metanoia Institute’s MSc in Creative Writing for Therapeutic Purposes course and works as a mentor, facilitator and host within the UK writing community. She has published two narrative poetry collections Ride On (2005) and The Soulwater Pool (2008). Claire is working on a novel entitled The Scarab Bookshop.